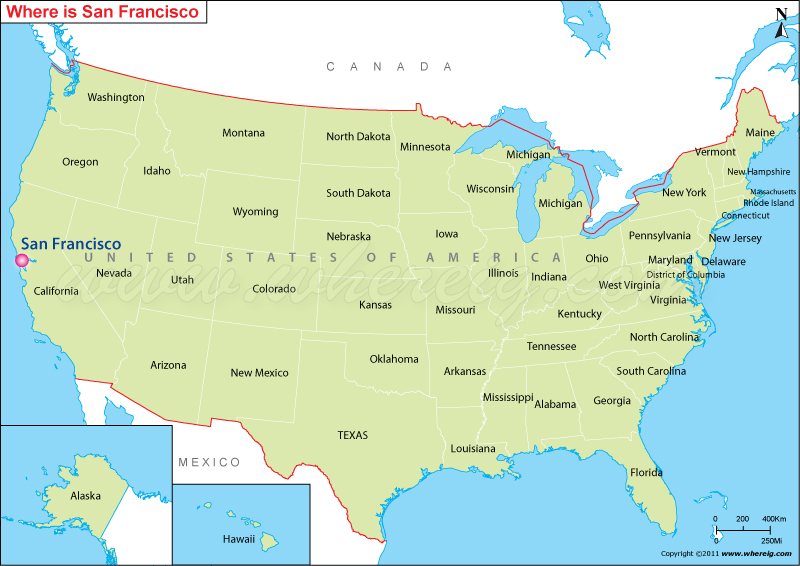 The given San Francisco location map shows that San Francisco is located at the eastern Pacific coast in the south-western region of the United States. In the south-western region, San Francisco is the financial, transportation, and cultural center. Interestingly, in the year 1776, the Spanish established a fort at the Golden Gate and for Francis of Assisi on the site. However, during the period of California Gold Rush in the year 1848 increased the city growth swiftly. Furthermore, at present, San Francisco is a popular international tourist destination known for its summer fog, Today, San Francisco is a popular international tourist destination, renowned for its, eclectic mix of Victorian and modern architecture, chilly summer fog, steep rolling hills, along with some of the well-known landmarks, such as the Golden Gate Bridge, Chinatown, and cable cars. In addition, the city is also a principal banking and financial center, and it homes more than 30 international financial institutions.